Found while searching fragments of the Imilac pallasite near La Mina Escondida in 2000. 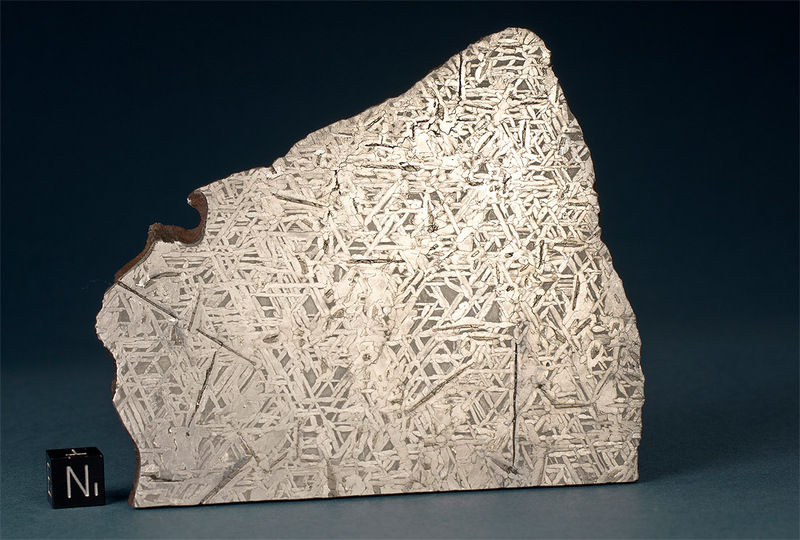 The 13.8 kg mass before cutting had average dimensions of 27 x 19 x 10 cm with a surface texture of small, circular shallow depressions, which is the characteristic weathering pattern of Atacama iron meteorites. 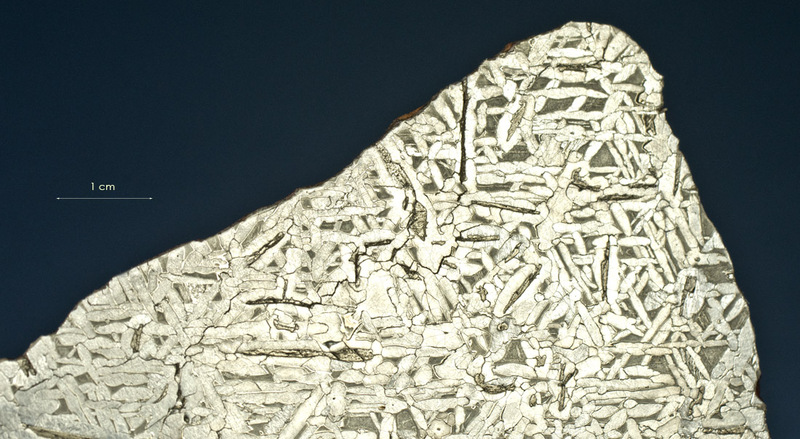 This slice shows a bright etch with well defined Brezina lammellae.